Travelling by plane can either be your idea of heaven or hell. I’ll let you into a secret. I don’t like flying. I get so ridiculously nervous before I fly that I usually feel nauseous until I’m sat down (preferably by the window), seat belt fastened and we’re airborne. I don’t like take off, never have and probably never will. But I do love travelling and seeing new places and that normally involves having to get on a plane. We love discovering new places and as we ventured into Provence for the first time last season, we were intrigued to find out more. Provence is a wonderful region with fantastic food and drink, beautiful surroundings and a perfect spot if you fancy a truly French experience. Located to the North of Provence, and just over an hour away from our new campsite Domaine des Iscles, ancient Avignon is a must for first time visitors to Provence. The 800 year old walls encircling the city definitely deserve to be explored, and hark back to Avignon’s past as a papal capital. This is also evident in the magnificent medieval fortress and Palais des Papes (Papal Palace) in the interior of the city. When you’ve had your fill of history, take time to explore the pretty cobbled streets and squares, or visit the renowned food market to sample some local delights. 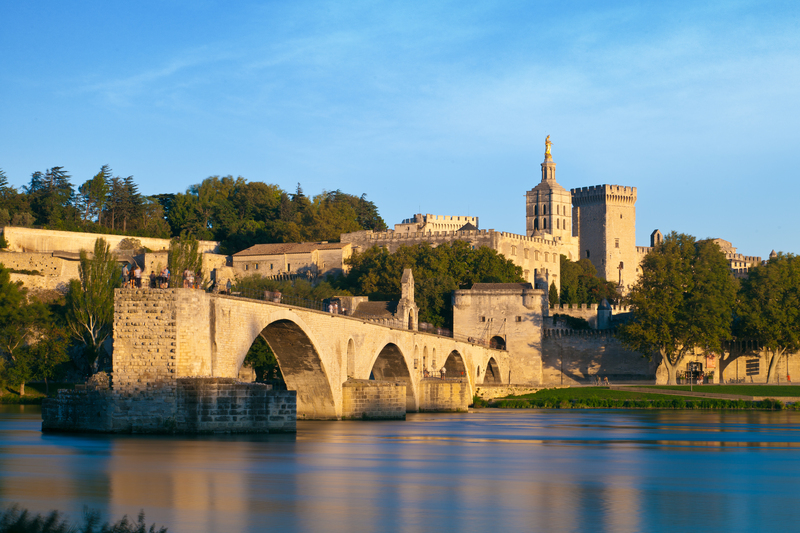 If you are holidaying in July you should definitely make a point of visiting Avignon to experience the famous performing arts festival that takes place at this time every year. Deep in central France, the Cévennes National Park is an unspoilt mountain area that attracts nature lovers, walkers and adventure seekers. The area is covered by thousands of miles of footpaths, some which leave directly from Camping Val de Cantobre, looping through tree covered slopes, dry stone terraces, isolated hamlets and with plenty of gorgeous flowers and wildlife to see en route. It’s a great area for keen bird watchers. Butterflies filled my stomach and my body tingled with nerves. Erm, was it wise to put my life in the hands of a scruffy-haired, stubble-faced dude in flash sunglasses? After having a fantastic holiday at Camping la Croix du Vieux Pont, Berny Rivière, I thought I would share my top ten tips for a fabulous Canvas Holiday experience!!! After settling in and unpacking the cases you might be feeling a little tired, so plan to have a BBQ on the first night. The gas BBQs are ready to use as soon as you arrive so pop to the shop, grab some burgers and drinks and spend your first night relaxing in your lodge with a quick and delicious dinner. After a great night’s sleep take a trip to the on-site bakery for fresh, home baked croissants and baguettes for breakfast. Capturing a moment on a family holiday is priceless. It’s a time when you are (hopefully) feeling at your most relaxed and happy, and the memories are something that you can look back at for years to come. We asked blogger and lover of photography Amanda for her top tips on capturing perfect holiday pictures. Here’s what she told us. I think the first thing I would recommend is, whatever you are taking your photographs on, get to know it better. Whether it’s a phone, a point and shoot, or a DSLR, take some time to handle the camera and read the instructions so that you can get the most out of it. On a side note also make sure you bring a charging cable, or batteries and a large memory card, the last thing you want is to not be able to take those photographs once you are away. I wouldn’t class myself as a huge thrill-seeker, but every time I visit a foreign country on holiday I seem to find myself looking for the nearest theme park, waterpark, go-kart circuit, water sports centre…you get the drift. Maybe it’s down to the fair hair and not being able to lie in the sun for any more than half an hour without turning into a tomato!